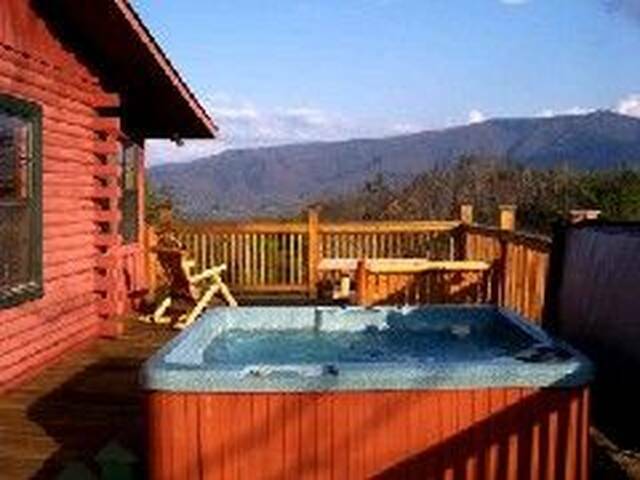 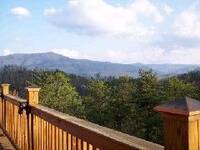 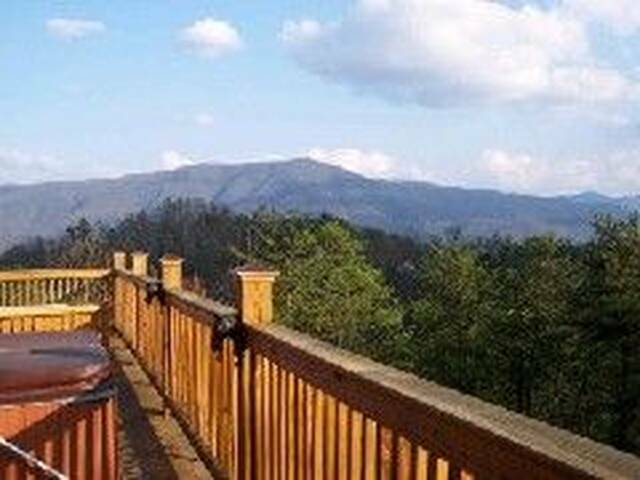 Stargazer is conviently located between Pigeon Forge and scenic Wears Valley and makes the perfect honeymoon cabin or for couples seeking a private vacation cabin retreat! 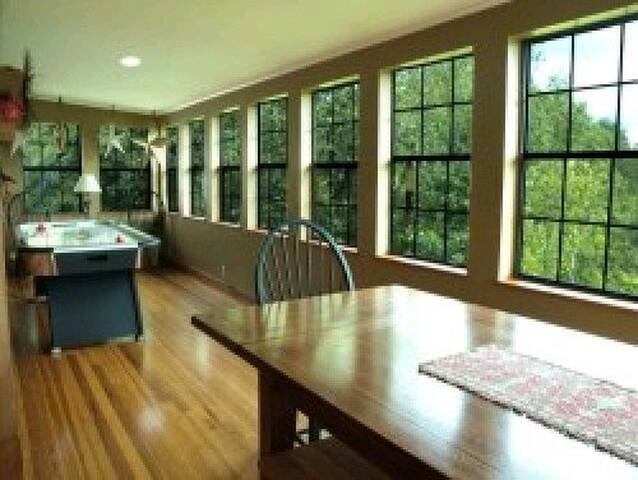 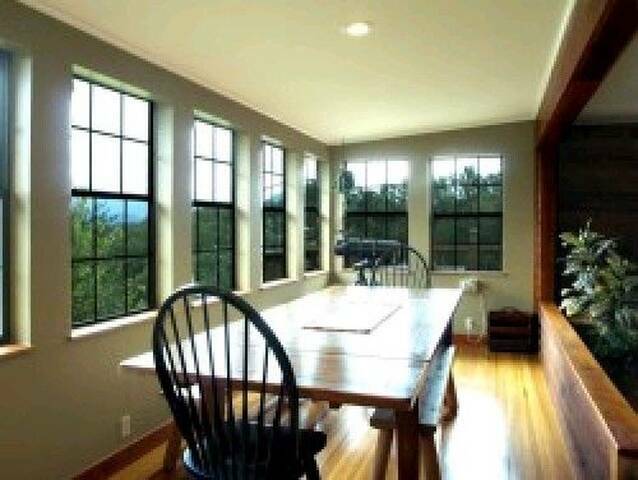 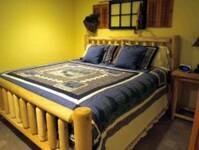 From the moment you enter Stargazer Cabin Rental, you will find this cabin to be furnished with the guest in mind with it's finely appointed interior and furnishings! 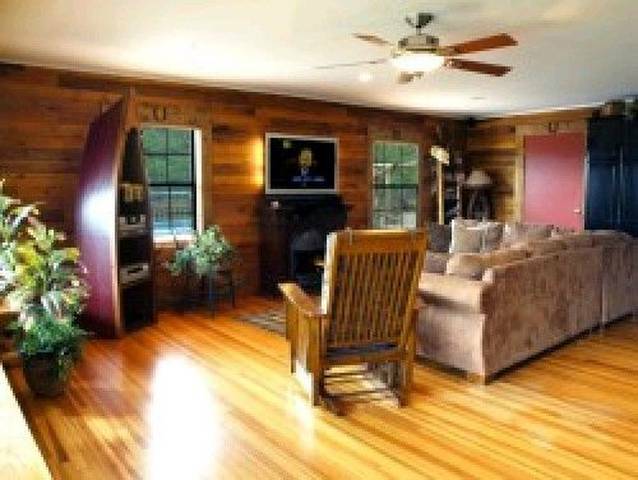 The main entrance level features a King Master suite with a unique log furniture. 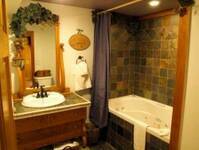 Relax in the Whirlpool as you enjoy a warm and soothing jacuzzi massage. 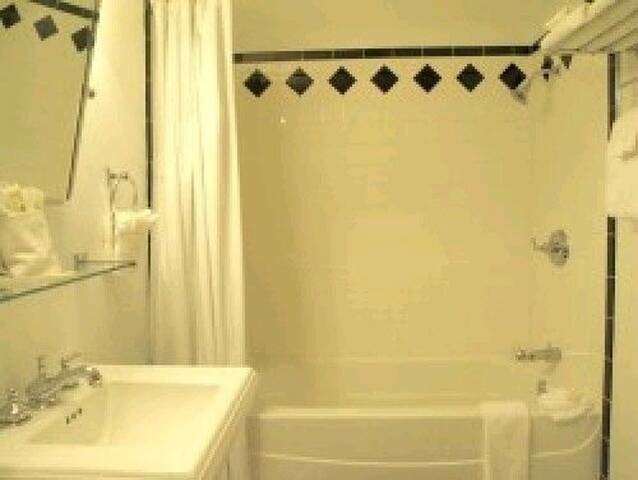 Just off this area is a washer and dryer. 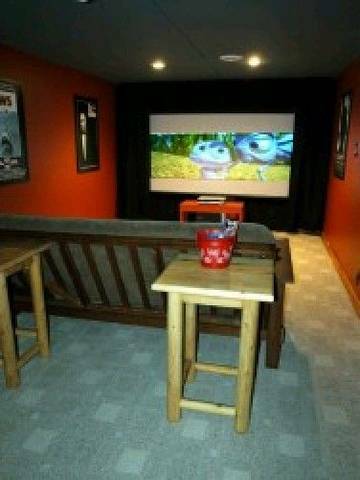 No addmission required to enjoy the NEW theater room with 100" projection screen with surround sound. 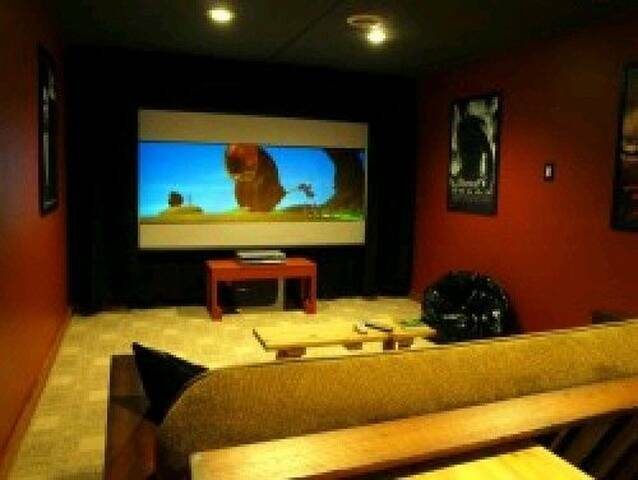 Just like being at the movies without having to leave your cabin! 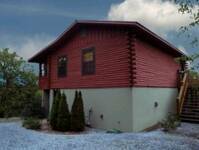 Enjoy Dollywood during the day, and Hollywood movies at night! 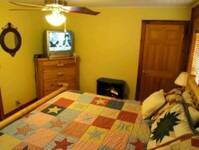 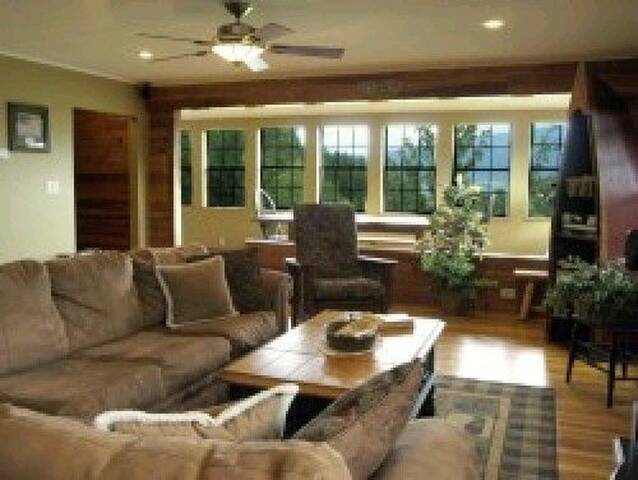 Upstairs you will find the comfortable living area with sectional sofa, Plasma TV and electric fireplace. 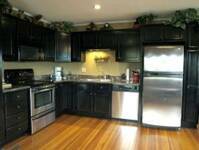 The gourmet kitchen will please the most descriminating chef with top of the line appliances. 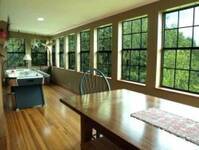 Dine in the breakfast room and enjoy the ever changing views from a multitude of glass windows. 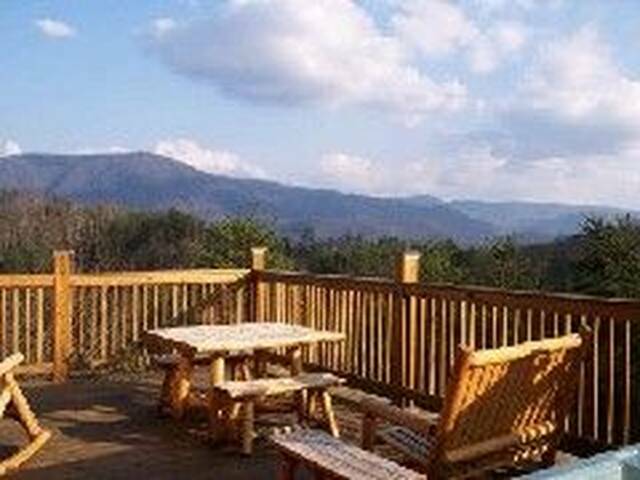 Retreat to the game alcove for a heated match on one of THREE GAME TABLES including a Pool Table, Foosball or Air Hockey . 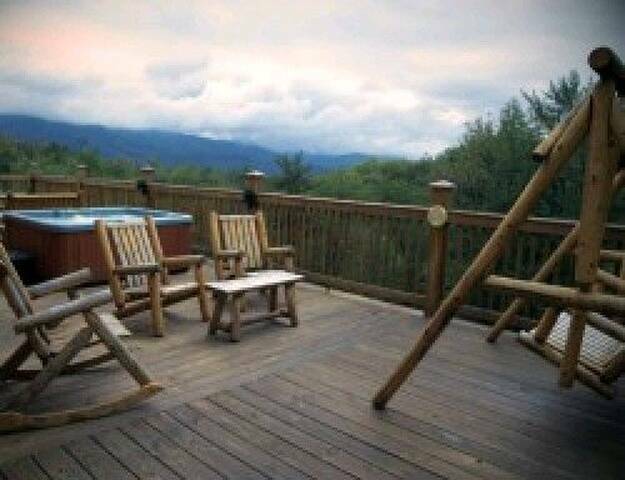 As evening approaches, "gaze" upon the stars from your private hot tub Retire to the romantic master suite which features a custom king log bed, unique furnishings , Satelite TV and Electric Fireplace. Just off the master suite is a oversized bath with tub / shower combination. 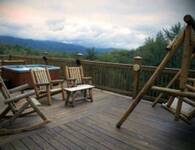 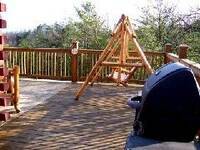 The main level also features a "wrap around" private deck with log rockers, Charcoal Grill plus a 4 person hot tub. 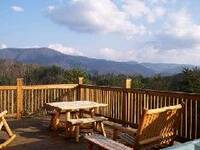 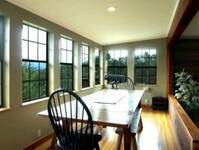 Dine among the timber tops and enjoy the ever changing awesome views! 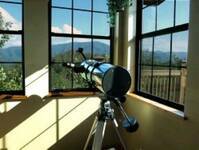 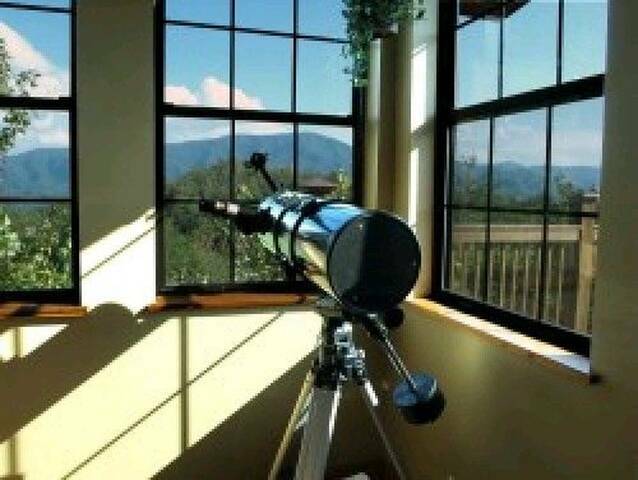 Whether gazing at the stars (bring your telescope) or the amazing mountain views, your time spent in Stargazer Log Cabin will be an memory you will want to experience time and again. With this true log cabin you can enjoy the peaceful surrounding of The Great Smokey Mountains National Park in your very own Log Cabin Retreat yet minutes away from Pigeon Forge, Gatlinburg and Dollywood. 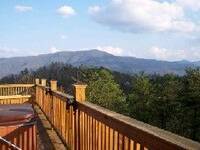 The natural beauty of this setting would also be perfect for a romantic cabin wedding !